Hello everyone! I'm Mayu, 20-ish in age. Thank you for stumbling to check our battle. Almost everyone knows that I sooo love writing and blogging eversince the world began (the latter is quite an irony.) I graduated Bachelor in Journalism in 2010 at THE Polytechnic University of the Philippines. I'm so glad to introduce my mini me. His name is Carlisle, aged 4, born last March 31st of 2012. He loves talking and babbling and eating and biting anyone's body parts. Haha! That was before he suffered from so many trials. He's not the usual four-year-old kid, as in such a young age, he already has his own battle. On his first year on Earth, his home was our 'home' home and hospital. At 4 months, he was diagnosed with Viral Meningitis. We were in and out of the hospital since then. At 10 months, he was diagnosed with a rare brain tumor called Craniopharyngioma. At 15 months, he already had his first major operation - brain surgery. 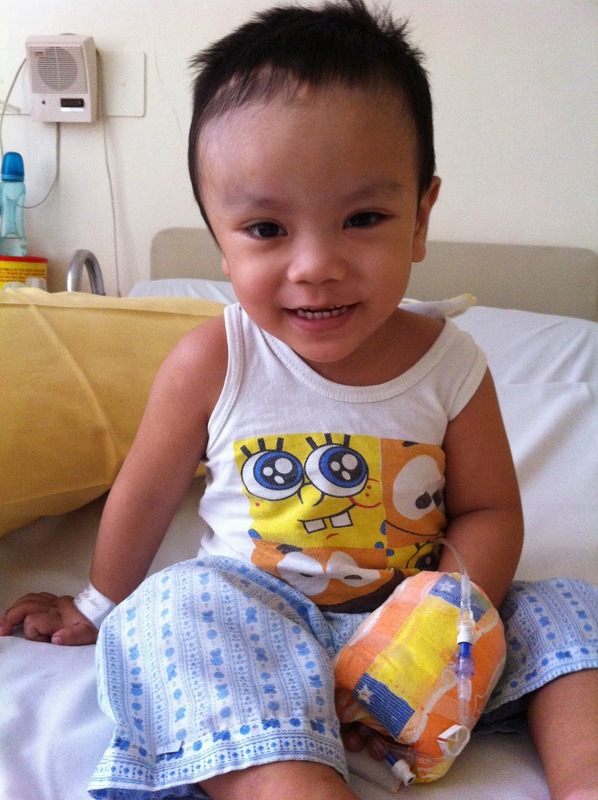 By the time that he's three, he will undergo with his second one, followed by radiotherapy. As the saying goes, "Be kind, for everyone you meet is fighting a hard battle." It might be a disease, an emotion, a heartbreak, a confusion, or anything that can make you think. Life has its own ups and downs, and it depends on every person's perspective whether he will win or lose. Everyone will experience that in the longer run. The real winner is the one who accepts defeat, and the one who shares what he learns.